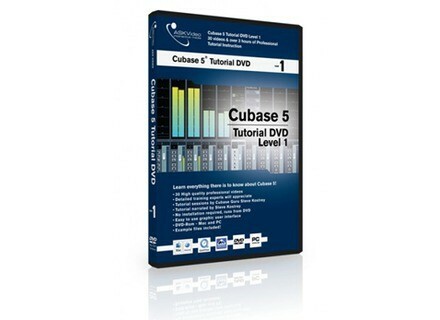 Cubase 5 Tutorial DVD, Multimedia/Video Pedagogical Aid from Ask Video. Plus 25% off all ASK Video titles until 31st July. In Level 1 of this 4 part series Ask Video say they take you through everything you need to know to get started. Beginning with setup, and taking a tour of the new interface, all the basics are covered - plus a dig into some of the advanced features. 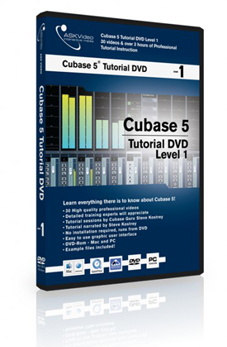 Steve Kostrey explains in a step by step style how to get the most out of Cubase 5. Made for Cubase 5 but also works for users of Cubase LE, Cubase AI, Cubase SX3, Cubase 4 and Nuendo. IK Multimedia AmpliTube Fender Update To v1.1 IK Multimedia and Fender Musical Instruments Corporation announced the release of AmpliTube Fender version 1.1, a free downloadable update for all registered users of AmpliTube Fender. de la Mancha Releases ballistic de la Mancha has announced the release of ballistic, a new drum sample player. Alterex ViNOM Available Alterex has released ViNOM, a synthesizer with a dual-VCO, LFO (tri, sqr, saw up, saw down and s&h) and a VCF with a 12/18/24 dB low-pass filter.